Cape Town and the Western Cape are looking to lead the way as Africa’s premier global exporter of Halal products following a successful debut conference. 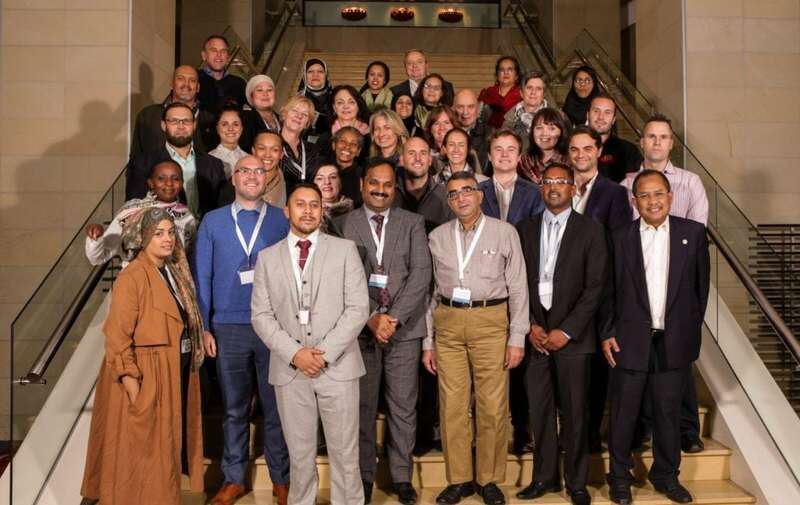 The inaugural ‘Halal Products and Services Inward Buying Mission’ event saw international buyers come together to learn about the region’s Halal offering while building long-term partnerships with local suppliers. It is estimated the event, held in Cape Town, generated $6 million worth of deals during the two-days which also featured seminars, workshops, networking sessions, an exhibition and a tour of Cape Town. Buyers at the conference included representatives from UAE, Singapore, Malaysia, and the UK representing multinational firms with 30 local suppliers showcasing their wares. The conference is part of an ambitious strategy by Wesgro, Cape Town and the Western Cape’s official Tourism, Trade and Investment promotion agency to become Africa’s leading global exporter in the trillion dollar Halal products and services market. This includes initiatives to double the region’s exports by 2025 bringing an estimated $58 million to the economy. Tim Harris, CEO of Wesgro, said the region aimed to become the Halal hub for Africa over the next few years with plans already taking place to host Africa’s biggest Halal Expo in October 2018. “The platform has ignited great interest in the international Halal industry generating large amount of interest by buyers for the next event. It provided an opportunity for 30 Western Cape companies to engage with the international buyers and showcase their Halal products leading to approximately US $6 million worth of potential trade deals signed over the five-year period. Attendees at the conference, held at The Westin Cape Town, included Nisham Mohideen, sales director from UAE-based Al Islaami Foods, Shaik Abdul Malek Bin Shaik Abdul Rahman Mattar, CEO, co-chairman and co-founder of MyOutlets Express PT from Singapore and Osama Moustafa Abdel Aziz, CEO of Sara International Foods from the UK. “The feedback we have received from buyers and attendees who came to the event has been overwhelming. The success of this event is an indicator of the huge potential of this region and we are delighted to have been a part of it. We are now looking forward to working closely with Wesgro to developing the proposition even further by supporting their inward and outward trade missions and bringing together Africa’s biggest Halal Expo in Cape Town next year,” said Bilal Domah, from UK-based Creative Minds Media, who co-organised the event with Wesgro. According to the latest figures, the Western Cape experienced an annual average export growth of 17.84 per cent over the last five years–worth $9 billion. Halal exports–which include meat, dairy, fresh fruit, cosmetics and pharmaceuticals–currently contribute less than one per cent of that total. In July 2017, Wesgro’s Research department published its first Halal market research paper, which provides insights into the Halal industry, ranging from ‘background and definitions”, to ‘starting a Halal food and beverage business and getting certified’.